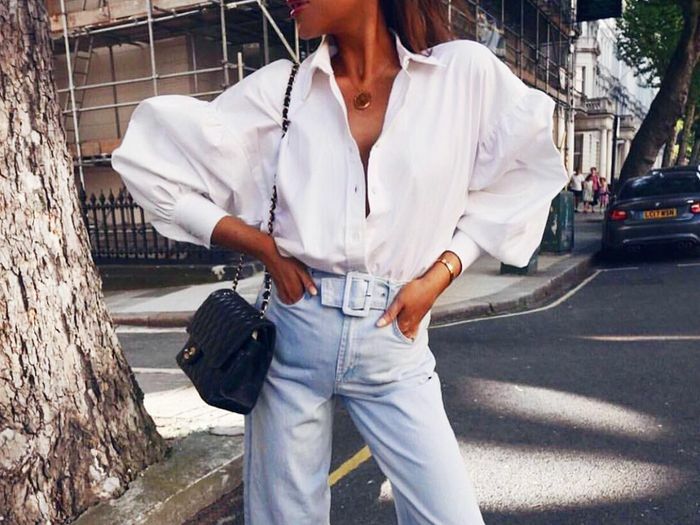 When it comes to buying jeans on the high street, Topshop's denim department is one of the best out there—the retailer once revealed it sells one pair of jeans every 10 seconds. We have a feeling it might sell a pair every five seconds today, however, as Fearne Cotton just alerted us to one of the happiest pairs of jeans we've seen in some time. Fearne wore a pair of straight-leg jeans in a light blue wash with a colourful rainbow stripe down each trouser leg. Rainbow prints have been real crowd pleasers this year, and we love this new update on the trend. 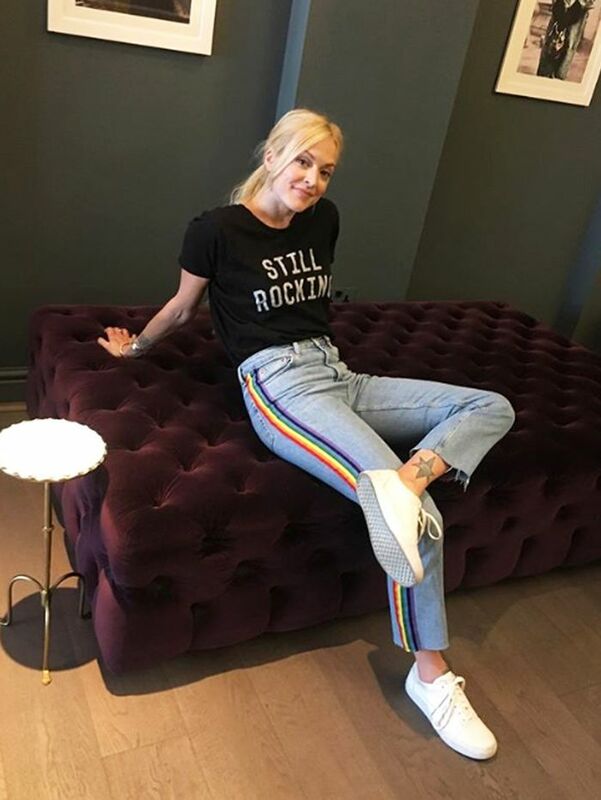 To up the feel-good factor, you could pair the with a colourful knit, or make like Fearne and pair it with a classic band T-shirt. Keep scrolling to see and shop Fearne's latest look. Fearne's pair are still in stock. There's a glittery version too. These are perfect for festivals. Next up, shop our edit of the best rainbow-striped pieces.